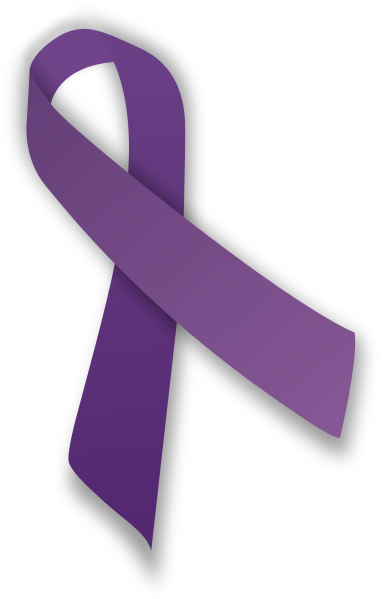 March is National Autoimmune Disease Awareness Month. To mark the event, I thought I could tell you my personal experiences with my autoimmune diseases – rheumatoid arthritis, fibromyalgia, Raynaud’s disease and Felty’s syndrome. My posts this month will be dedicated to living with an invisible illness. I hope they allow you to better understand what people with autoimmune diseases go through and the day-to-day struggle that is life with an invisible disability. I first remember noticing something was seriously wrong when I started Kindergarten. At only five years old, I found myself in constant pain. My legs would hurt so bad that I struggled to walk. I had migraines so debilitating that I couldn’t sleep at night. My fingers were so stiff that I could barely write. While most kids my age were playing sports and adventuring outside, I was sleeping in my bedroom. I was always tired, always in pain and always sick. I complained constantly. Most people in my life thought that I was exaggerating or just making up excuses because I was lazy. When I would go to the doctors, they would tell me that I was fine. Every doctor told me that the intense pain I was feeling was just growing pains – completely normal for someone my age. By this time I had been to just about every kind of doctor you could imagine. I had been poked and prodded for every test under the sun. My primary care physician (PCP) decided that everything was just in my head, that I had a very large imagination. Hey, I was even questioning myself at that point. Am I really in pain? Did I do something to make myself feel like this? Is this pain just the result of my obesity? I have to thank my grandmother for not letting me give up. She had seen first hand what I had been going through. Some days I literally could not get out of bed. When I did, she watched me limp into school. She was the one taking care of me when I caught every illness under the sun. She helped me dress when I couldn’t put on my own shoes or zip up my own jeans. She didn’t let me take no for an answer. She knew there was something wrong with me, we just had to figure out what it was. The magic moment happened when I decided to switch PCPs. I knew my former doctor was tired of hearing from me and did not believe what I was telling her. Let me tell you, there’s nothing more discouraging than a doctor that literally does not care. So, I set up an appointment with a new PCP that I had heard good things about. I marched in with my never-ending list of symptoms; as detailed as can be. Instead of thinking I was crazy she immediately looked at me and said, “Have you ever been tested for an autoimmune disease?” No, I hadn’t. I didn’t even know what that meant. She wrote my script and sent me off to the lab. I was tested for rheumatoid factor, complete blood count assessment, antinuclear antibodies, and had my SED rate and CRP analyzed. Just a few days later I received a phone call that completely changed my life. I tested positive for a rheumatoid factor and with my symptoms and other clarifying test results it was clear – I had rheumatoid arthritis (RA). I didn’t really know what this meant but my PCP sent me to see a rheumatologist to further explain my condition. I felt a weird sense of relief. Getting an official diagnosis was a huge weight lifted off of my shoulders. Rheumatoid arthritis is a chronic inflammatory disorder that affects the lining on your joints, causing a painful swelling that can eventually result in bone erosion and joint deformity. It occurs when your own immune system mistakenly attacks your own body’s tissues. It can affect every other aspect of your body; from your skin to your eyes to your organs. RA is a chronic disorder, meaning that although there may be occasional symptom-free periods, the disease will always come back and typically worsens over time. There is no cure for rheumatoid arthritis yet. It turns out that since my RA had gone untreated since I was a child, I was in the advanced stages. X-rays, MRIs and ultrasounds were used to detect joint damage and inflammation. The anatomy of my 19 year old body closely resembled that of someone in their early 60s. Permanent damage had been done to my bones, joints, liver, kidneys, spleen and heart. It makes me sad to think that if just one doctor had taken my family and I serious when I was a child, I wouldn’t be in the predicament I am in today. When caught early, juvenile arthritis can be seriously helped with aggressive treatments. So many doctors robbed me of the opportunity with a better life. All of my questions still weren’t answered. The pain in my body wasn’t just in my joints – but my muscles, tendons and ligaments too. My muscle tissue was tender and extremely painful to touch. I was experiencing weird skin reactions to cold weather. If you touched the left side of my stomach I would squeal. I was later also diagnosed with fibromyalgia, Raynaud’s disease and Felty’s syndrome. Fibromyalgia is a disorder characterized by widespread musculoskeletal pain accompanied by fatigue, sleep, memory and mood issues. Researchers believe that fibromyalgia amplifies painful sensation by affecting the way your brain processes pain signals. Raynaud’s disease is a condition that causes certain areas of your body to feel numb and cool in response to cold temperatures or stress. With Raynaud’s, your smaller arteries that supply blood to your skin narrow, limiting blood circulation to affected areas. Felty’s syndrome happens when a patient with RA has an enlarged spleen and an abnormally low white blood cell count. It makes someone more susceptible to infection and ulcers. So what does this all mean? It means that I have to work a lot harder at day-to-day life than your average joe. What might seem to be a small, simple task for someone can be torturous for me. A great way to explain it is with Christine Miserandino’s “The Spoon Theory.” The idea is that those with a chronic illness start the day with only so many spoons, or things they can do. Throughout the day they have to think about things that healthy people don’t have to. Every spoon can be equated to an action. If you’re sick that day and only have five spoons, you might have to choose between getting a shower or cooking dinner. You simply do not have enough energy to complete all of the tasks that normal, healthy people take for granted. I seriously recommend you check out “The Spoon Theory,” as it’s the best way to explain and understand a typical day in the life of someone with an invisible illness. Christine makes an excellent point when she says that she hates feeling left out. That’s something I’ve struggled with for a long time. Sometimes I have to make the choice between going out or finally cleaning my cats litter box. Most people could probably handle both in one day but I simply cannot. Invisible illnesses often bring upon social isolation, which then leads to depression, which then leads to more pain. My life has been a never-ending cycle of negatives. Some days, I have no hope. However, some days I do. My posts this month are going to talk about my life with chronic, invisible diseases. I have done a very good job at hiding my illnesses. I don’t let many people see “sick Hilary.” I never wanted the pity, the help or the awkward conversations about it. However, I would like to stop being criticized and judged by my peers. I think I owe it to people to explain why I do what I do, say what I say and choose what I choose. Tags: autoimmune disease, chronic diseases, chronic illness, felty's syndrome, fibromyalgia, health, healthy, invisible illness, living with an invisible illness, living with chronic diseases, living with rheumatoid arthritis, National Autoimmune Disease Awareness Month, ra, raynaud's syndrome, rheum, rheumatoid arthritis, rheumatoid arthritis review, spoonies, the spoon theory, the spoon theory review, wellness, what is fibromyalgia, what is rheumatoid arthritis. Bookmark the permalink. Wow that makes me so angry that the one doctor didn’t catch it sooner. Only went to medical school for a billion years to tell you it’s nothing. My doctor did something similar with a genetic heart condition in my family, turns out my dermatologist of all people suspected something was up. Interesting post! Thanks! That’s crazy that it took a skin doctor to detect it! I really have no faith in doctors these days. They just don’t care about patients anymore! Wow I really feel for you and connect with this post. Into thousand 11 I was diagnosed with adult stills disease another Ruma Torrey arthritis and almost died from complications because I was on diagnosed for so long I lost most of my vision & suffered from renal failure. I didn’t know about March, great to know. Looking forward to reading more of your post about this. major love going out to you dear! my mother has an autoimmune disease and i understand the struggle. Keep your head high!